The Order was originally founded in 1889 as the “Royal Order of Masonic Knights of the Scarlet Cord” under the jurisdiction of the Order of the Secret Monitor. Find out more about the Ancient and Masonic Order of the Scarlet Cord. 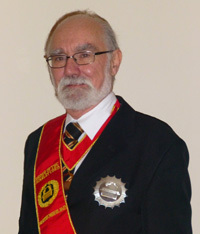 Send an email to Provincial Grand Secretary Distinguished Companion David Reynolds 3°.